Learn how to take advantage of today’s uncertain times: build long-term relationships strong enough to withstand change with social selling best practices. The world is changing—fast. As new technologies like artificial intelligence upend old business models and spark fresh ones, it can feel like the only certainty is uncertainty. 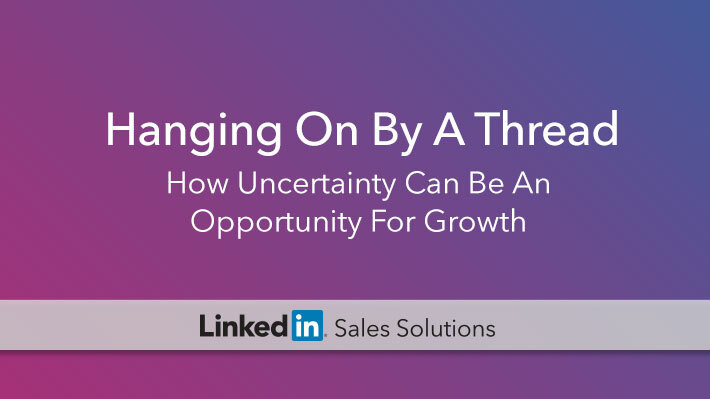 While it’s easy for sales organizations to see the pace of change as an obstacle, it also presents a meaningful opportunity for those ready to face uncertainty head on. In a marketplace where the competition is only a click away, leading sales teams have learned to embrace change by investing in credibility, content, and long-term relationships. 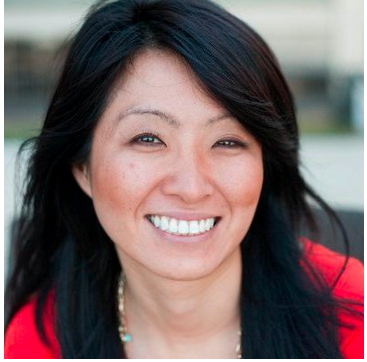 Building strong, authentic connections is more important than ever—and as such, sales teams need to adopt new tools and strategic approaches to establish these relationships quickly and easily. LinkedIn’s new free eBook, Hanging By a Thread: How Uncertainty Can Be an Opportunity for Growth, outlines how social selling can help you capitalize on change, creating strong bonds that reduce risk and accelerate wins. Complete with tips, tactics, and interviews with leading sales experts, this eBook emphasizes how a social, multi-threaded approach is more critical than ever in an era marked by rapid change and unpredictable turnover. The hyper-networked world of the future is coming sooner rather than later. If you’re late to the game and fail to take decisive action, there’ll be a price to pay—but if you can embrace these trends before your competition, you’ll reap major rewards and be well position for the future. Download LinkedIn’s free eBook, Hanging By a Thread: How Uncertainty Can Be an Opportunity for Growth today.